Before performing any sport, athletes should prepare themselves. This preparation may come in the form of warming up, stretching and calming the mind. The most important form of preparation is the consumption of the right foods, to provide the energy that is required to perform well at a sport. Nutrition before a workout is of critical importance as it affects the kind of workout you will have in addition to reducing the likelihood of injury. The information below gives the major pre workout nutrition elements and the right time for consumption. Without a doubt, water is the most important element of pre workout nutrition. No matter what super-foods you eat, or supplements you take, if there is not a sufficient level of water present in your body then it is useless. Water is imperative for several vital functions of your body which helps you perform better during the workout. For one, water purifies your blood in addition to boosting metabolism so that you burn more calories. The presence of water also ensures that the supply of nutrients to your muscles does not stop so that you can work out longer without getting tired. Therefore, regardless of the type of physical activity you do, you need to drink a sufficient amount of water before starting the activity. Proteins are necessary to keep your body in an anabolic state so that muscle breakdown is prevented. When you perform any intense physical activity it results in breakdown of muscle tissue. When proteins are not present in your body, the catabolic rate increases and your body starts breaking down muscles rapidly, which, under no condition is a favorable state. It is imperative that you consume a sufficient amount of protein before your workout so that minimal muscle breakdown occurs. As far as the time of consumption of protein is concerned, it depends upon the source of protein. If you consume protein from meat in the form of a full-fledged meal, make sure that you have the meal 4 hours before the workout so that it can be properly digested. 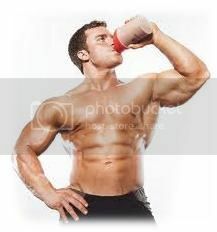 On the contrary, if you are consuming protein from protein supplements, have it an hour before your workout for maximum benefits. The other important nutrient which should be consumed before a workout is carbohydrates. In order to undergo any physical activity, the body requires energy and carbohydrates as the primary source of energy for the body. It is imperative that before a workout you have a sufficient amount of carbs present in your body; these carbs are broken down to glycogen to provide you with energy throughout the workout. In terms of the time of consumption of carbs, if you wish to work out for more than an hour, you need to consume complex carbs at least 3 hours before the workout. These carbs are digested slowly thereby providing energy over a longer period of time. On the other hand, a simple energy bar an hour before the workout can also provide you with the carbs needed. In short, the three integral pre workout nutritional elements are water, protein and carbohydrates. You must make sure that you have your stores full with these elements before the workout for optimal performance. An easy and simple way of doing so is to buy the best pre workout supplements, that will provide other important nutrients in addition to the ones already mentioned.